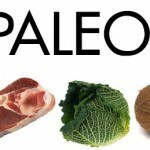 So recently my wife and I decided to try the Paleo Diet in an effort to reduce processed sugar intake and other crap that processing food introduces into our diets. It’s been a bit difficult I won’t lie to you. Going from a diet of “whatever I wanted” to a diet high in protein does present a lot of temptation everyday. I also worry that my new level of egg intake will not be good, but eggs have proven to be a less of a thing over the week than at the start. The best part of this new diet has been the introduction of a lot more veggies.. I love veggies but we don’t get to eat them as often as I would like because of the kids and their various differences in likes and dislikes. Our daughter doesn’t like a lot of meat and our son doesn’t care for 99% of all veggies in the world. The upside has been that in most cases I haven’t had to make two types of dinners at night and I can tune our dinner to be kid friendly. So what have I been eating lately? Breakfast was at first a lot of eggs, but over the first week we’ve adapted. It’s now a mix of eggs, apples, thin sliced pork chop and fruit. Lunches have been a solid of lettuce wrapped turkey (nitrate free), tomatos, avocado and hard boiled egg. Dinner has been a mix of everything, but of course no pasta (My favorite) or deserts like low fat ice creams or girl scout cookies.. That means, steak, pork, egg pie with veggies and sweet potatos. I haven’t done much “formal” exercise. Mostly I have gotten in 1 good walk and over the weekend I spent a lot of time in the back and front yards. Overall not the best approach, but spending 5 hours doing heavy lifting can shed that water weight pretty fast! Week #1 Weigh in: 239 Lbs. This week will be a wet one here in Texas so I don’t know how much walking I’ll get done, but I know that has to be a focus of this diet. Check out my wife’s progress HERE!